Drink the Freshest Milk in Town! Take a Stop Back in Time! 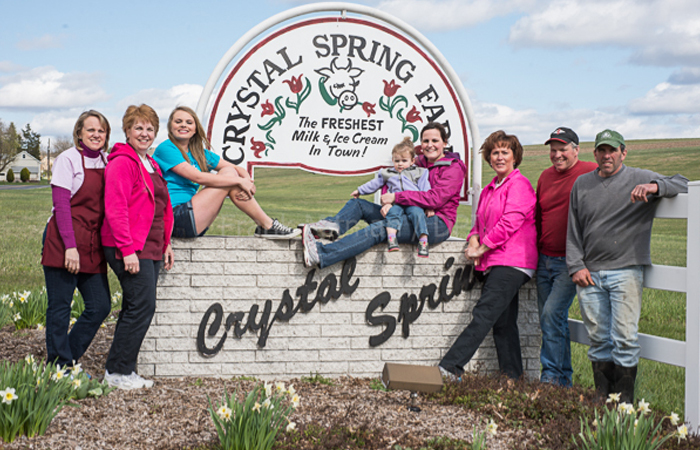 Welcome to Crystal Spring Farm, home of the freshest milk and ice cream in town! 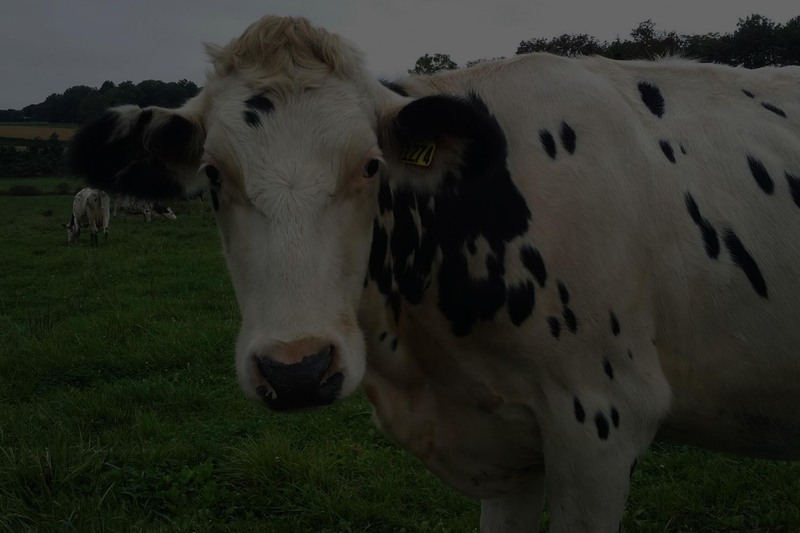 We are a 4th generation family owned and operated dairy farm located in Schnecksville, PA. We often hear people call us the Lehigh Valley’s best kept secret because we are nestled in a valley east of the PA turnpike on Route 329 and are often overlooked. When you drive down our long white fence lined driveway and see our Holsteins and silos in the near distance, you can rest assured that you will be receiving the freshest dairy products in the Lehigh Valley! 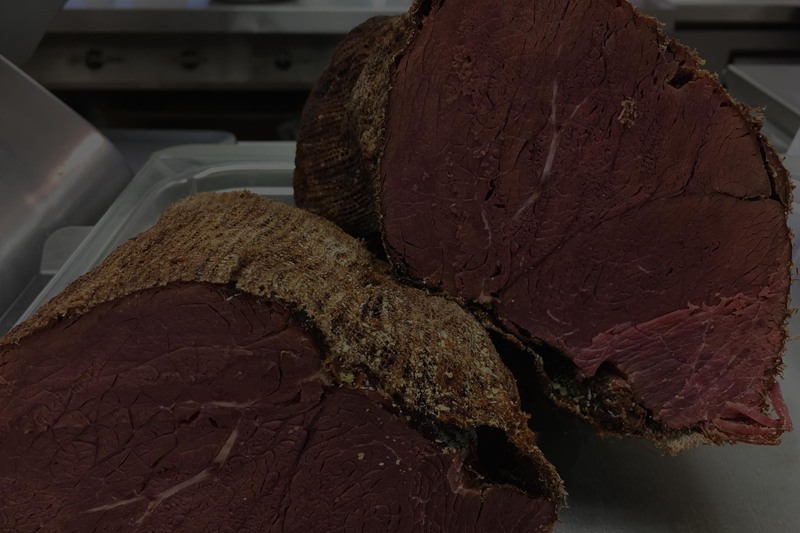 That is only the beginning; shop our retail store for our own homemade baked goods, deli items, fresh produce, and much more. We hope that you will join us on our journey to keep local farms alive and thriving. Your reward is waiting for you in the freshest food available to you, as well as the lush green scenic country sides! Why not bring your whole family along for their favorite ice cream treat and enjoy a bit of country life while you are here?! If you are looking for delicious foods, then you have come to the right place. We grow and maintain only the freshest food so you that you can leave our shop a satisfied customer. Our homemade ice cream is made from milk and cream from our fresh herd. Includes ham, turkey, roast beef, or tuna with cheese plus lettuce and tomato. Get a hot dog, side dish, and medium drink to eat for lunch or dinner. Try our chef’s salad, tuna salad, or garden salad fresh from our deli. Get some homemade barbecue, a side dish, and medium drink. 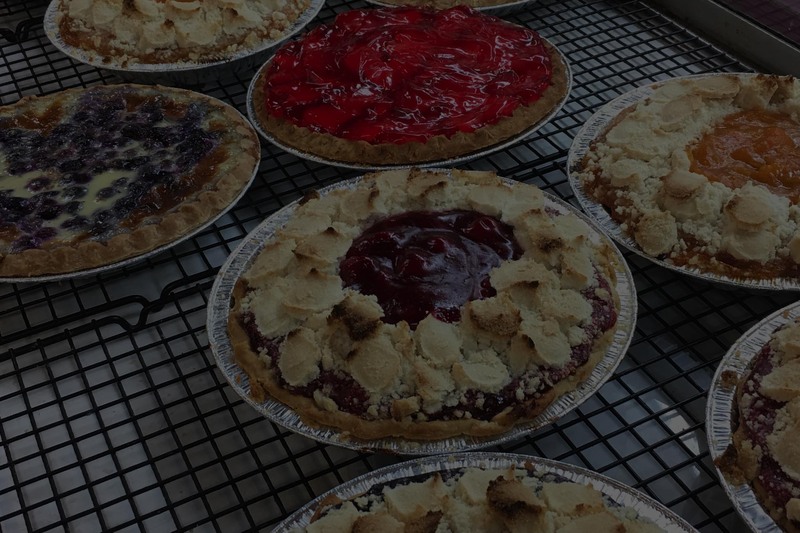 We offer delicious homemade cake or pie à la mode with our own ice cream. Drink the freshest milk in town! 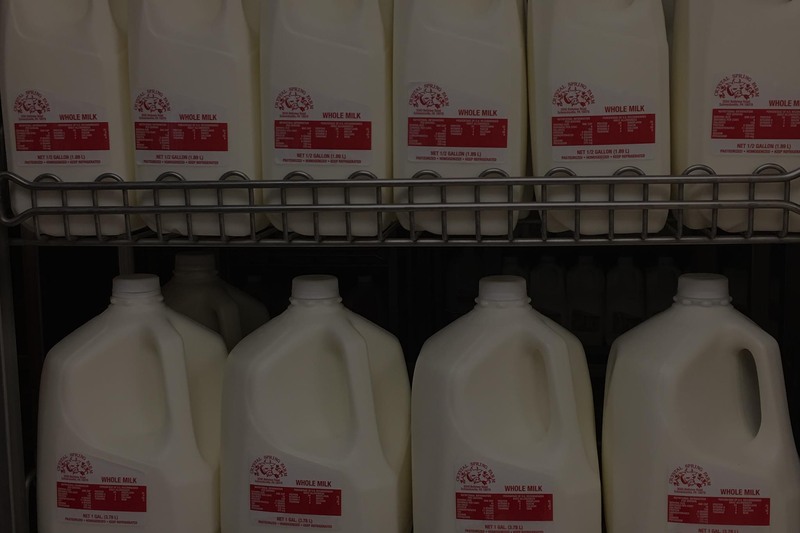 In some cases, the milk that you purchase in our store may have come from our cows the same day. 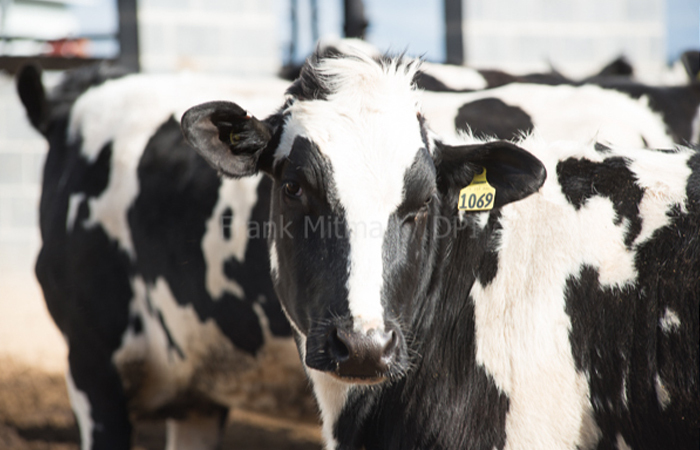 We process and sell whole, reduced fat, low fat and no-fat milk, as well as flavored milk and half and half. 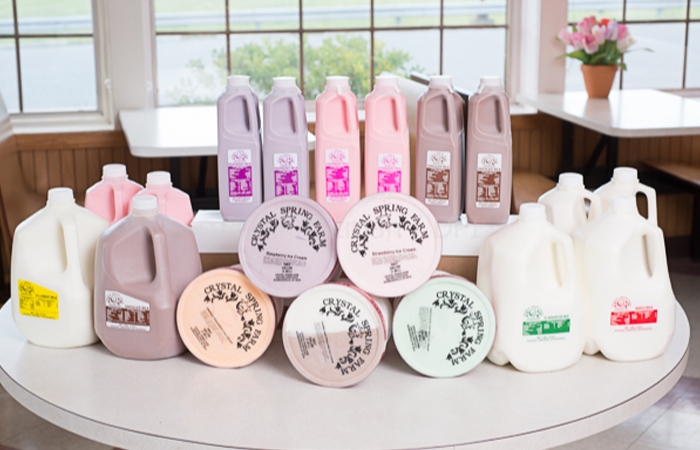 Our homemade ice cream is made with milk and cream fresh from our dairy herd using Grandpa Sell’s time-tested recipes. 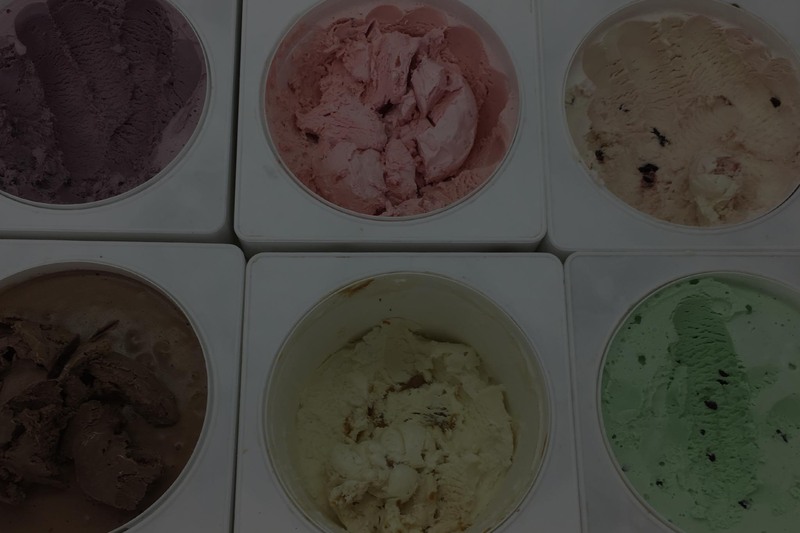 Our pre-packaged ice cream includes: half gallons, quarts, pints, Dixie cups, ice cream sandwiches and ice cream cakes. We sell a large variety of quality lunch meats and cheeses at prices much better than everyday supermarket prices. Best of all, we slice it the way you like. If you are in a hurry, call ahead and we’ll do our best to have it ready when you arrive. How Old Is The Farm House? What Are Some Of The Jobs On The Farm? What Is The Average Work Week? What Is A Dairy of Distinction?